The alphabet was created for a residential building in the Wedding neighbourhood of Berlin. The building functions as starting, ending and crossing point of the daily walks taken by its inhabitants. 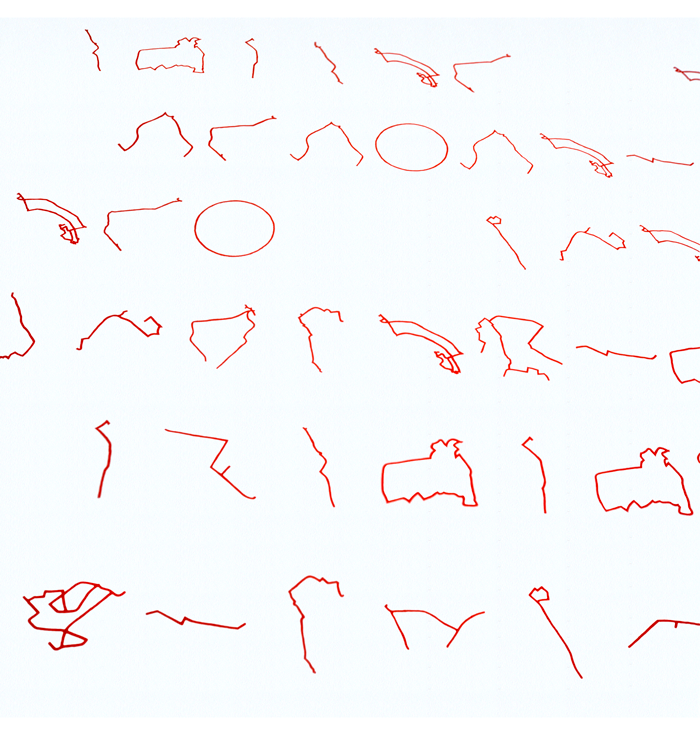 In August 2009, I collected 26 daily walks of 26 inhabitants and transformed them into a local alphabet: each letter records one inhabitant's walk through Berlin. With the new alphabet, I wrote the family names of the people currently living in the building on the building’s entrance wall. 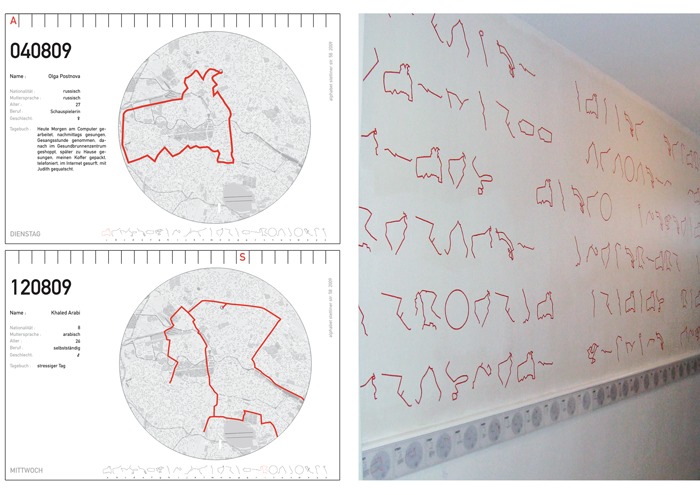 The alphabet frieze underneath helps to decipher the writing: it shows each letter/walk traced on a map of Berlin, and the diary accounts of the protagonists.